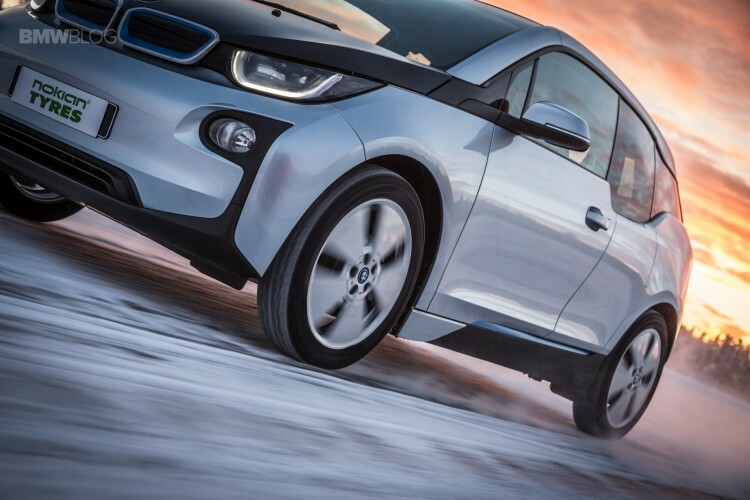 Finish tire maker Nokian is announce their own set of rubbers for the BMW i3. According to tests, the Nokian Hakkapeliitta R2 can reduce the rolling resistance of electric vehicles even 30%. The energy savings gained from the lower rolling resistance increase the vehicle’s range. According to the EU tire label, the rolling resistance of the new model is in class A. 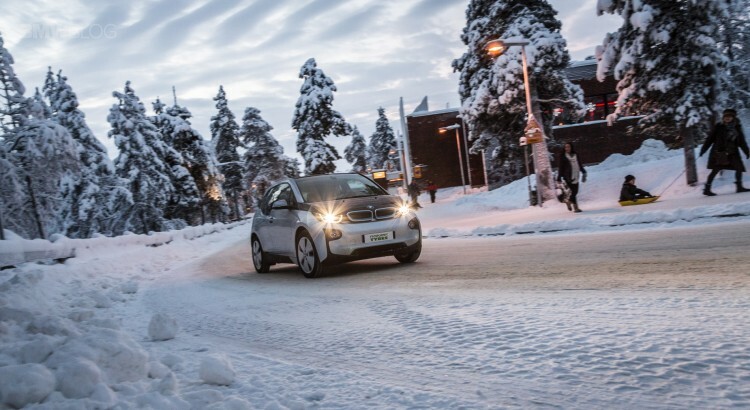 The rolling resistance of competitors is in class C and E.
The aggressive arrow-like tread pattern, already used on the test-winning Nokian Hakkapeliitta R2, and the safety innovations that improve handling, such as the grip particles and pump sipes of the Cryo Crystal concept, ensure balanced handling and excellent winter grip, even on wet ice. 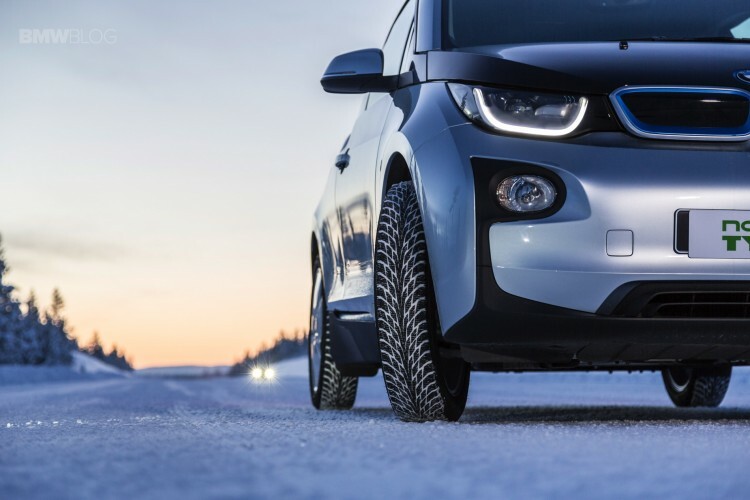 The non-studded Nokian Hakkapeliitta R2 (size 215/45R20 95R XL), designed for BMW’s new i8 hybrid vehicle, will be introduced in February–March 2015.